We’d love your help. Let us know what’s wrong with this preview of Lilac Lullaby The Tragedy by Sonja Marie Hawk. When she finds herself trapped in a useless body, Addison is forced to reexamine her sordid past. "Life has a way of stealing childhood if the stork doesn’t drop you into the right family." Having lost her mother at birth, Addison is shuffled from foster home to foster home, enduring whatever awaits her. Learning young that she can only rely on herself, she navigates abuse, When she finds herself trapped in a useless body, Addison is forced to reexamine her sordid past. Having lost her mother at birth, Addison is shuffled from foster home to foster home, enduring whatever awaits her. Learning young that she can only rely on herself, she navigates abuse, neglect, and fear until she can no longer silently submit to a life without love. Determined to take control of herself, she finds an escape in the underground world of outcasts, where she makes her own rules... and mistakes. Haunted by the dreams of the mother she never had a chance to know, can Addison come to terms with the mistakes of her past? Will the deep emotional and physical scars ever heal? Will she ever be able to love? Forgive? Learn who she truly is? Contains content not suitable for children under 13. Trigger warning. If this was a movie, it would probably have an overall PG13 rating. It touches on a lot of topics that are taboo or 'adult' in nature. Some content may be intense or uncomfortable. It may trigger some personal issues you've buried. Might stretch your ideals, or awaken them. 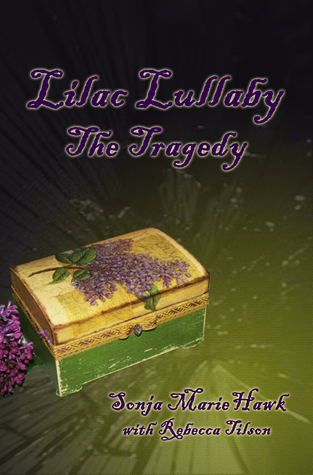 To ask other readers questions about Lilac Lullaby The Tragedy, please sign up. I received a free ebook review copy of this novel in exchange for an honest review. I originally started reading it when I had first got it, though my life got a busy and I sort of stopped. I gave it another go this weekened and have finished it now. To explain the novel a bit, Lilac Lullaby: The Tragedy by Sonja Marie Hawk with Rebecca Tilson is a book about a woman, Addison Lane, who has had a tortured life. We begin in dream-like state which then turns into a hospital scenerio where we find th I received a free ebook review copy of this novel in exchange for an honest review. I originally started reading it when I had first got it, though my life got a busy and I sort of stopped. I gave it another go this weekened and have finished it now. To explain the novel a bit, Lilac Lullaby: The Tragedy by Sonja Marie Hawk with Rebecca Tilson is a book about a woman, Addison Lane, who has had a tortured life. We begin in dream-like state which then turns into a hospital scenerio where we find that Addison is the patient and evidentally in emergency care. We soon get glimpses of the important bits in her life, playing out in review. Little by little, we go through her story, switching occassionally back to the hospital scene. The first thing I'd like to touch on is the plot. From one point of view, it might seem like a bunch of various scenes throughout a woman's life and it might just seem like it's not going anywhere. Though, if you think about the basic aspects, it's more a book about a young girl, growing up and trying to find her place in life. Once she's old enough, she turns to try and find out information of her mother. Eventually, she does find various bits of knowledge that inform us how she came to be in foster service in the first place, the eventualities of some of the people in her youth and that does help fill in the gaps. Generally, I think that the structure works reasonably well. Though, sometimes various chunks of the flashbacks drag on a little too long, just going by my opinion, that is. It might be different for others in that respect. I have to admit that there were moments, while reading this, where there were tears in my eyes. Some of the portions are just so... special or just quite magical. There were other times that I wasn't particularly interested and, admittedly, skipped over because I didn't really like them that much. However, that's likely just me. Moving on with that a little, I think that it's been authored quite well. There is a broad range of scenerios that we read. Many times, with other books I've read, some authors don't take too well to writing a story from a child's perspective. However, in Lilac Lullaby, it's much different. There are a broad range of scenerios and many of the stages in the girl's life make it seem almost natural. She speaks of various feelings at each point and I think that each portion is done well, with the ability to make it seem like a young person taking on a new situation. Even as she gets older, we get new input of how she feels at each point like worries, curiousities, fears. It's nice to read what she thinks about each scene. Having said that, I'm somewhat appreciative that we're not privy to every little detail. I imagine it might have gotten tiresome to read about every single bit when she relocates. Yet, the story glosses over bits in some portions and we find Addison settles in to new homes within a sentence or two, rather than what it might have been like if it had dragged on. I like the way that we didn't read much into school life for that reason; it might just have deterred from the actual plot. To discuss the characters a little bit, I liked most of them. I appreciated the perspective into Addison's life, that we got such a blunt view of the terrible ways she had grown up. My favourite characters, by far, were Austyn and Raymond; I thought that those pages I spent in their company seemed truly special and really meaningful. However, there were some characters that I didn't quite like. Though I didn't mind Aunt Helen, I didn't particularly like her very much. Which is unfortunate to say because she is such a major part of the book. The same could be said for the introduction of Helen's friends. I can understand why those character types might be interesting to others, but those types of characters just aren't for me. Later on, when the indentities of Sunny and the mystery man come to light, I admit that I was kind of relieved. I'd had my assumptions about who those two might be, but was confused (in my mind) about why she would not recognise them. The relief is that the authors don't take such an obvious route with who the mystery characters might be. The ending was a bit of a disappointment to me, to be blunt. I'll try not to give away any obvious spoilers. However, my main thought is that I wish Addison had reacted a lot differently. It just seemed incredibly annoying, to me, that she would make many of those choices and kind of upsetting considering what her life could have become if she hadn't... Well, it's difficult to explain without going into any specifics. This is not my normal read but was pleasantly surprised with the author's method of telling the tale. Ending was too sad but appropriate. Fell in love with the old auntie; have a lot in common with all the older folks from the 60s; & hurt for Benji. Very emotional & touching story. Thank you, Sonja & much good fortune to you!